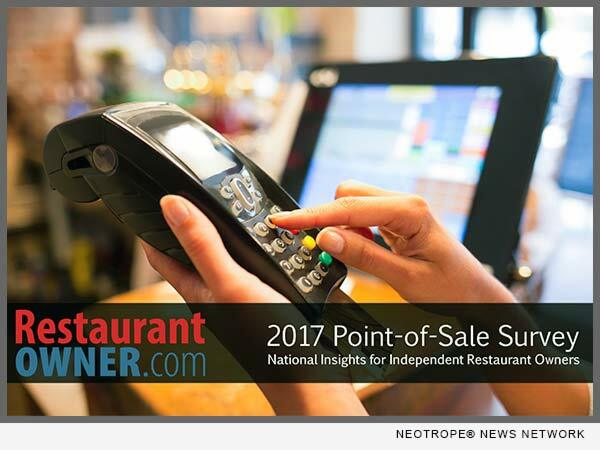 RestaurantOwner.com have released their 2017 POS Survey Report which summarizes input gathered from 1,190 independent restaurant owners from around the world regarding over 100 different brands of POS systems, focusing on several critical aspects including cost, installation and support experience, and features. The results of this survey provide unique insight into the POS system market and emerging trends, all of which are valuable to independent restaurant owners. The average cost for a restaurant POS system has notably decreased since 2012. In 2012, the average expenditure for a POS system was just over $18,000, as opposed to $13,344, currently. The top seven POS solutions were Aloha POS, MICROS, Digital Dining, Clover, Adelo POS, Future POS, and POSitouch. These top seven POS systems accounted for 47.5% of the market. Beyond the top seven, all other POS brands each accounted for less than 3% of the market share. We identified a shift toward cloud-based systems and POS solutions offered by credit card processors. Clover, Dinerware, Harbor Touch, and Square were the top credit card processor provided POS solutions, accounting for nearly 11% of total market share. Despite the increased use of cloud-based and mobile systems, less than 10% of independent restaurant owners indicated they use pay-at-the-table devices. Moreover, only 31% of restaurants reported using EMV compliant POS systems. This is particularly noteworthy considering the fraud liability shift that took place in October 2015, mandating that merchants upgrade to EMV chip technology or accept increased liability for fraudulent transactions. Improvements in plug-and-play components, increased Wi-Fi capability, and a tech savvy labor pool are allowing many restaurant owners to opt for self-installation and remote support. As a consequence, only 74% reported using an authorized POS vendor for programming, training, and support. A copy of the report is available at: http://www.restaurantowner.com/POS2017/. With over 46,000 members since 1998, RestaurantOwner.com’s mission is to change lives by educating and inspiring independent restaurant operators to create restaurant success stories. RestaurantOwner.com is committed to providing practical, proven insights, and resources to enable members to build a better restaurant, a better business, and most importantly, a better life. Next articleIntellaHealth Launches to Drive Dental and Healthcare Marketing in U.S.